Not long after the Thames Goldfield opened, preachers of various denominations flocked to the Thames. Services, informal and formal were held in the open, in private halls and residences. 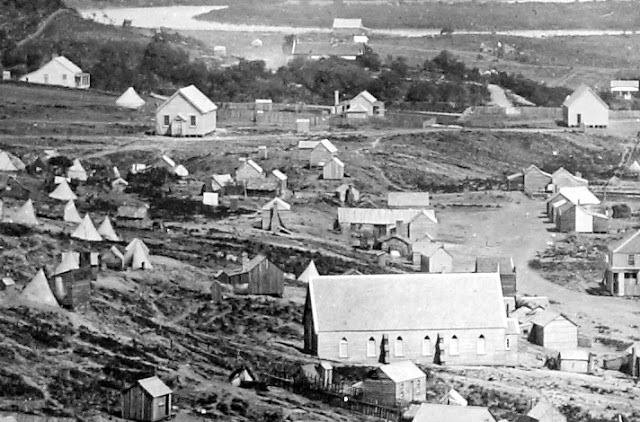 Talk of the bible was not new to the area, with the Mission Society established at Parawai near the the Kauaeranga in 1837. 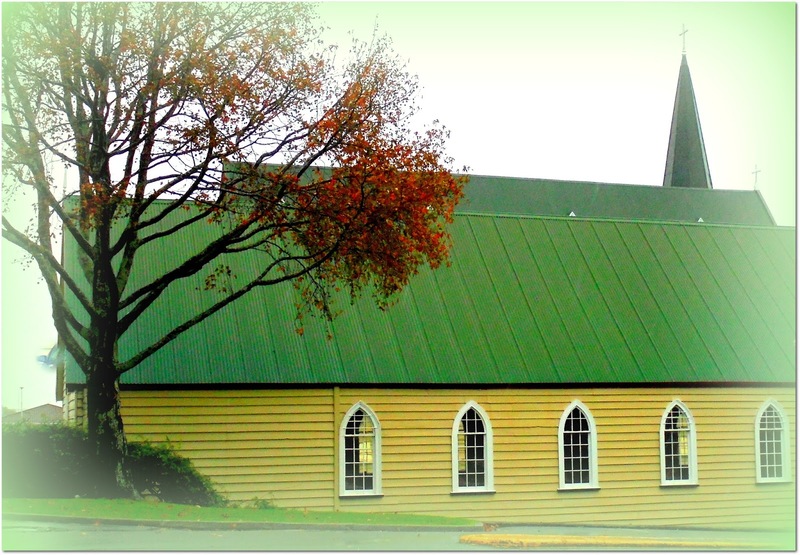 The Presbyterian Church building was opened 3 May 1868 at Shortland Town, Rev James Hill was the preacher. Described as fronting Karaka Hill, later called by mining settlers the Una Hill. It was said to be a plain building 56 feet by 28 feet, 46 rows of seats that could seat 300 people. New Zealand Herald 6 May 1868. The opening service for the St George's Church, Shortland took place on Sunday 24 May 1868. Church sources have the building opened 5 May 1868. The Ven Archdeacon Lloyd presided at the first service, at what the paper described as an edifice 60 feet by 30 feet. The evening service had to take place at an earlier hour due to lack of lighting. The St George's first church as many will know, resides today north of their later building, having been moved to that site (and turned over the years). The first St George's Church far right, adjacent to the Hospital driveway. The present church to the left. Now the present congregation of St George The Martyr Anglican Church, are celebrating 150 years on the goldfield with a service in that 'first church' - 13 May 2018. The Pewsheet gives details of the service to be held 13 May 2018. St George's Church Hall - from the Thames Hospital Carpark 13 May 2018.